Whether for yourself or as a gift for a cruelty-free man in your life, you can buy any of these vegan men's belts knowing that they're free of animal-derived materials and by-products. 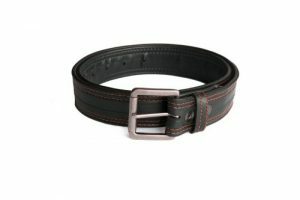 What is a ‘Vegan’ Men’s Belt? Quite simply, a vegan belt is just like a regular belt, only made from materials that are considered cruelty-free, rather than from animal-derived materials, such as leather or suede. They can pull off the same look, whether it be dressy or dressed down, and function in the same way. The only difference is that they are in better taste. Please Note: "Faux leather" can be made from PVC, microfibre, recycled plastic, recycled PET polyester, degradable polyurethane and many others. Most people never consider where the material used to make their belts, shoes or clothes comes from. We as consumers generally only consider their look, their feel, and their price when making a purchase. But if you dig a little deeper, you’ll find that there’s a very real and painful cost to the materials used in these everyday items; animals need their skin more than we need their skin, and sometimes it is taken from them in unspeakably cruel ways. Buying a vegan-friendly item is buying an animal-friendly item. 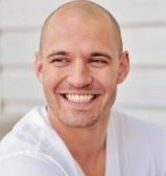 Does one belt really make a difference? Does it ever! Here’s how it works; by purchasing a vegan belt (or any other ‘vegan’ product, for that matter), you’re telling manufacturers and designers that there’s a market for animal-friendly products. Revenue coming in from these products will help support the product line, so more of them can be made. Demand fuels supply. This also works two ways; the more vegan products that leave retail shelves, the less animal-derived products being bought. This sends the message to companies that the market for cruelty-derived products is shrinking, and the market for cruelty-free products is growing. Lack of demand fuels lack of supply in this case. Short answer, no. 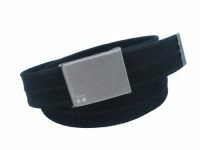 Long answer, it depends on the belt! 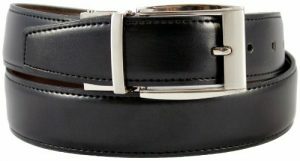 Just like their non-vegan counterparts, vegan belts come from different designers, from different brands, and can be made from many different materials. Just like those that use animal-derived materials, the prices of vegan belts can fluctuate drastically. ...an every-growing number of great companies! Our process is pretty simple actually. 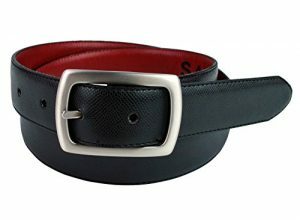 We keep a growing list of companies that we find through social media, by word of mouth, and by other means, whose entire line of men’s belts seems to be vegan-friendly. We then contact those companies to double-check that they don’t use any animal-derived materials in the production of the belts. Then, check to see if they sell their products on Amazon; if they assure us their belts are vegan-friendly and they sell on Amazon, we list them here for your convenience. 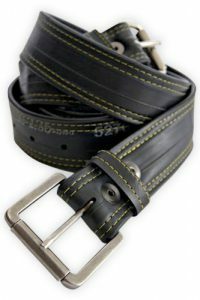 While we feel that it’s important for non-vegan companies to listen to the market and offer animal-friendly alternatives to their traditional product lines, we also tend to have a tough time getting those companies to answer our questions with regard to the materials used for these belts. If we can’t be confident that we’re getting accurate and complete information from a company, we won’t list their products. If you (or your company) makes vegan belts, wallets, protein powder, or vegan products of any kind actually, we’d love to feature your product on our site, for free! Contact us at - info(at)getitvegan(dot)com - to get the ball rolling!